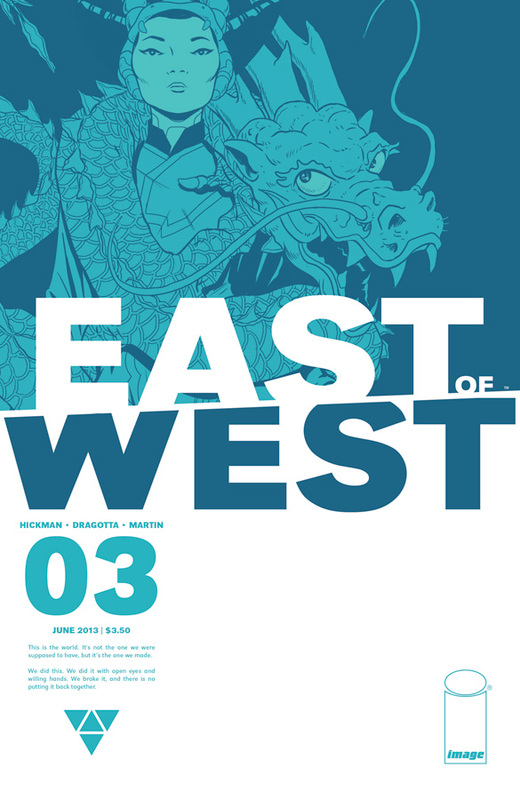 New Coat of Paint: East of West Serves Up Cliché with Style – Dork Forty! I hesitate to say that this book is Jonathan Hickman doing epic manga, but… I do feel something of the spirit of Katsuhiro Otomo in it. Hickman’s story of apocalyptic children emerging from a mysterious super-scientific lab to impact world politics could, in fact, be a summary of Otomo’s Akira. 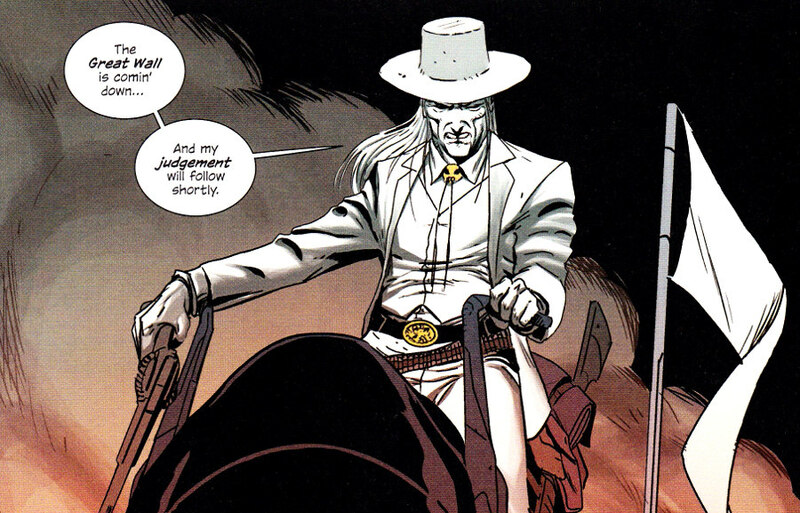 The similarities end there, of course; East of West has more of a blockbuster feel to it than Akira, which is more grounded and philosophical. …motivated by love, and by his desire for revenge on those who conspired to kill him. That’s an adventure cliché, of course, which is pretty much par for the course for this book. You’ve got the wronged hero on the vengeance trail against the rich and powerful, you’ve got the agents of those powerful people standing in opposition to him, and you’ve got the ghosts of his past hot on his trail. We’ve seen all that before, and we’ll see it again (and again, and again). 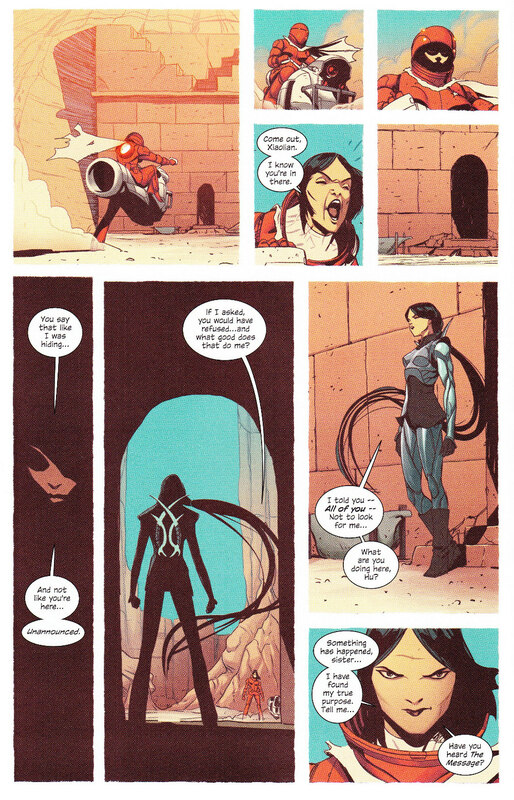 The thing that makes East of West worth reading and talking about is the way the clichés are presented. Hickman is creating an intriguing world here, an alternate history that can simultaneously handle Old West trappings, political sci-fi, family drama, and the Four Horsemen of the Apocalypse. And by dropping us face-first into all that, he’s developing mystery, keeping us guessing just enough that we (or I, at least) can’t be too bothered by the fact that we’ve seen the basics of it before. Click to embiggen that page, and you’ll see the rough edges of the panels, as if each is brush-painted, or maybe torn from individual pieces of canvas. It’s a nice effect. 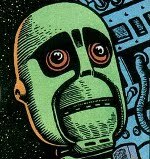 But really, the thing that best sums up this issue’s distracting cool factor, the inventive thing that keeps me coming back for more… Is the talking eyeball.